I’ve been dreaming up this idea all summer, and was beyond thrilled to see these gorgeous photos from our newest contributor Brie pop into my mailbox last week. Transforming a ho-hum piñata may just be the best, most fabulous, easiest way to make a sparkling party statement. With the pinata base already intact, the project couldn’t be easier! 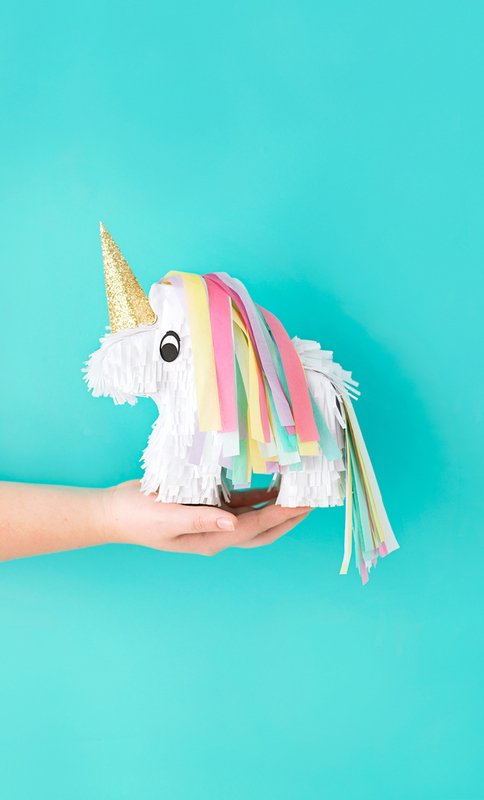 Make these unicorn pinata cuties for favors, place seats, or just for the joy of it. They will quickly make any party space sparkle with festive fun. 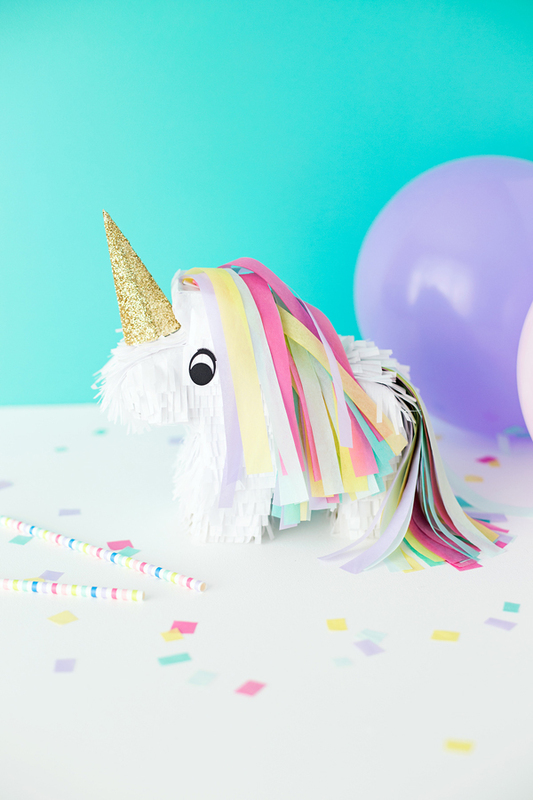 To make the miniature unicorn pinatas you will need: ​A mini pinata (ours are from Target), white tissue paper, a variety of pastel tissue paper, white Elmer’s glue, scissors (Martha Stewart fringe scissors work great for making fringe), white card stock, gold glitter, and black card stock. ​1. First strip the piñata of its original tissue paper. 2. Cut long strips of folded in half tissue paper that are about 2 inches wide and fringe. 3. Starting at the bottom of the piñata, start layering the fringed strips of tissue paper one on top of each other, securing with glue. 4. 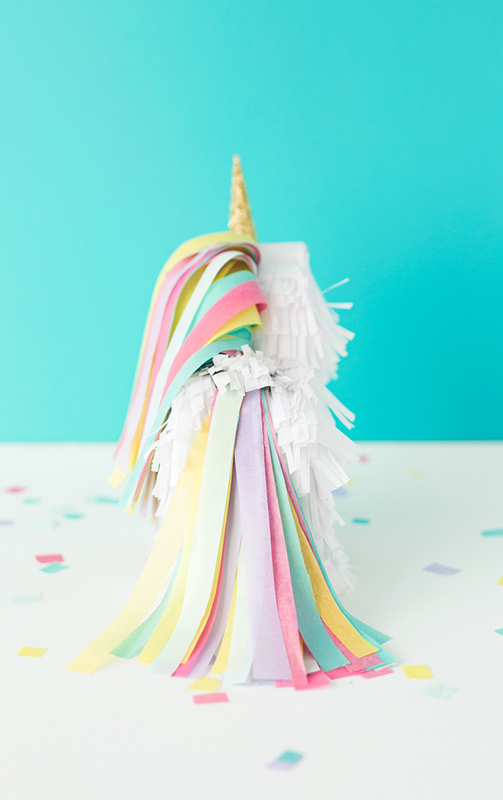 Once the piñata is covered, add a unicorn tail by cutting long strips of different colored tissue paper and gluing them into the candy opening of the piñata. 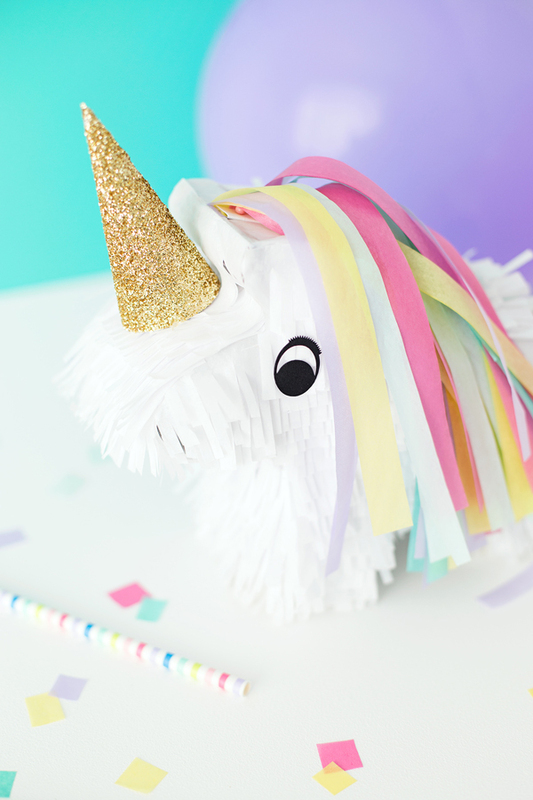 Take the same strips of pastel colored tissue paper and make the unicorns mane by gluing strips to the piñata “neck” one by one. Don’t forget the horn! The sparkly unicorn horn was made simply by forming a cone from white card stock and glittering it. Replace the eyes from your original piñata or cut the unicorns eye from black card stock and glue them on. (Project design photography ©A Subtle Revelry by Brie Zacher). 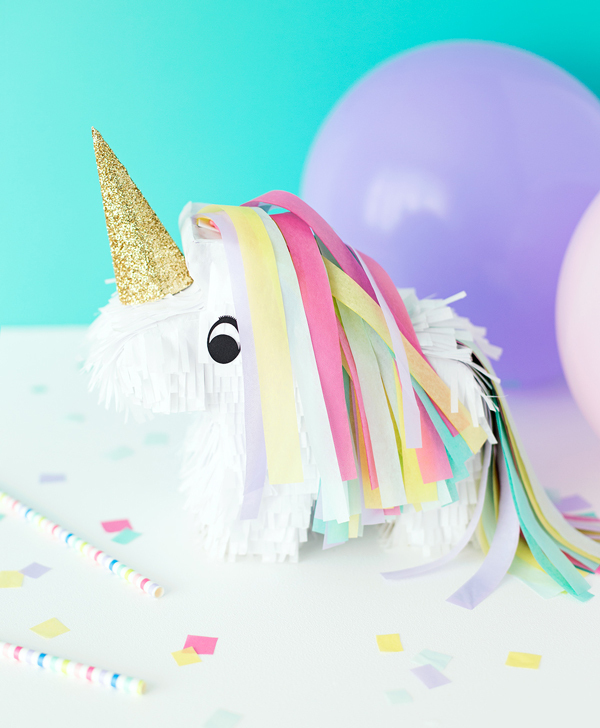 The post Miniature unicorn pinatas appeared first on A Subtle Revelry.